Along with warmer temperatures and longer days, one of the things I look forward to most every Summer is the abundance of fresh produce that the season brings. From sweet corn to fresh watermelon, ripe tomatoes, strawberries and more, I am convinced that Summer is the most flavorful time of the year. 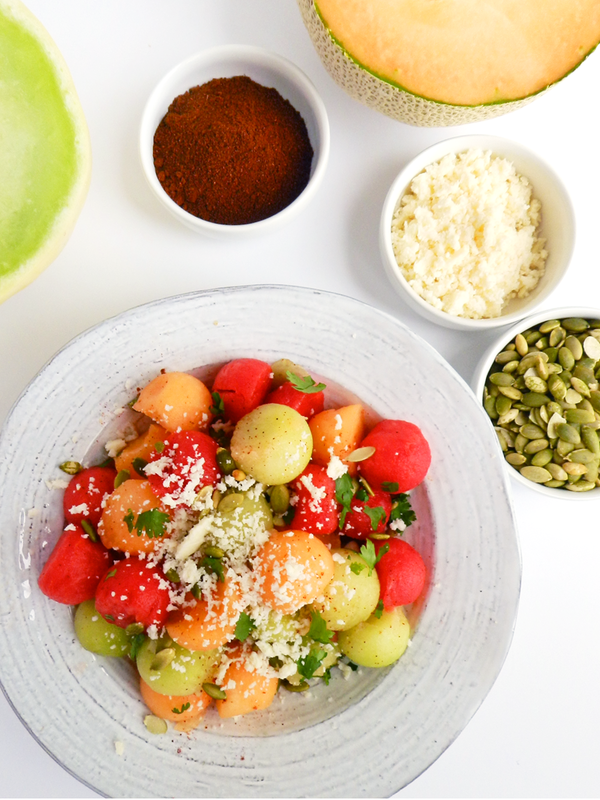 While I have my favorite go-to recipes that I make year after year, I was intrigued when I came across this Chile-Lime Melon Salad and decided to give it a try. 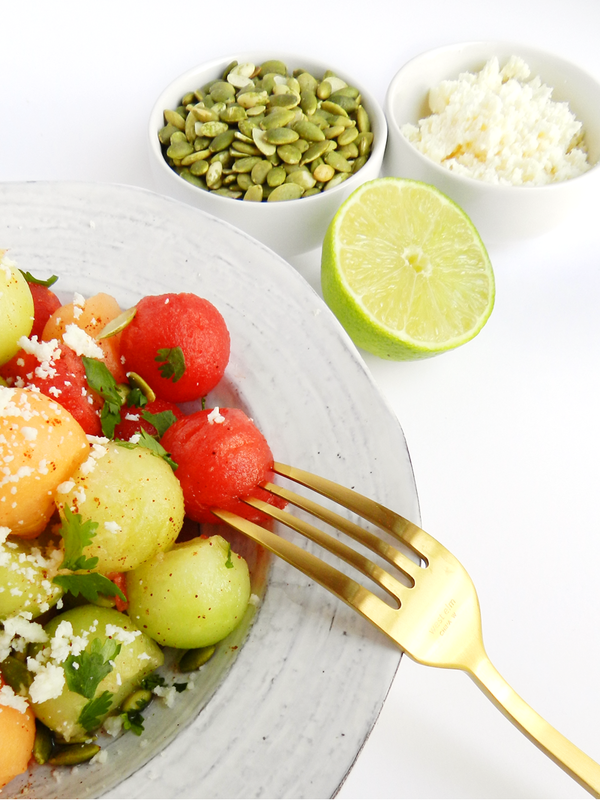 Despite being skeptical that you could improve upon the flavor of fresh melon, I was pleasantly surprised how the addition of lime juice and a hint of chili pepper enhanced the fruit's flavor, without being overpowering or too spicy. 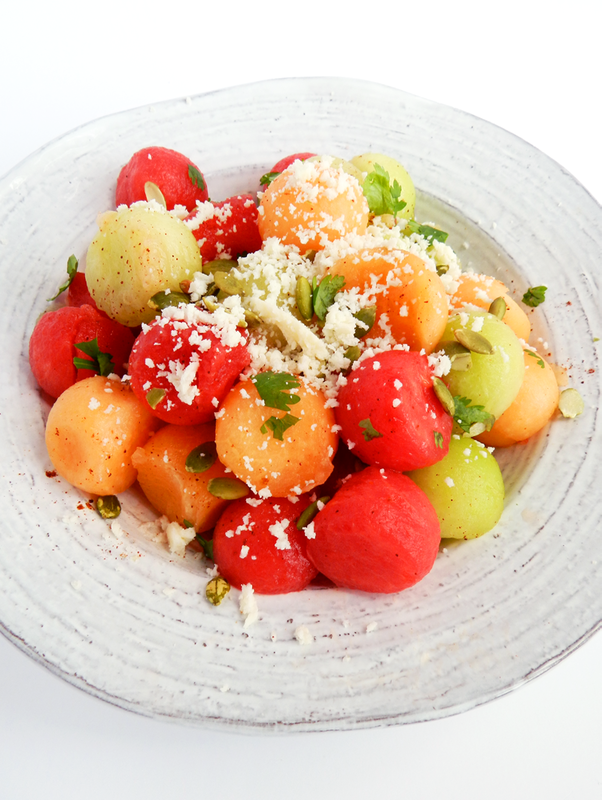 Refreshingly sweet, with a subtle kick, this fruit salad is a fun twist on a summer classic.